Data is an important part of our lives, we make some of the safe and important decisions through data. It's an integral part of life and we to understand the essence of it with ease. 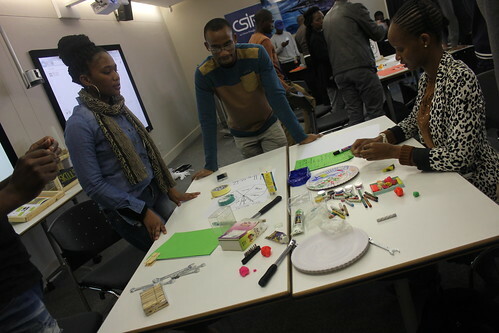 The CSIR through the Data Science for Impact and Decision Enhancement (DSIDE) have establish a Vacation Work program that takes in students from across South African universities to train and build Data Science oriented solutions. These students used variety data visualization tools to explore and give meaning with data and projects presented to them. Any tech solution have a user/customer, it's important to make sure that what we are building speaks and makes sense to the intended target(s). 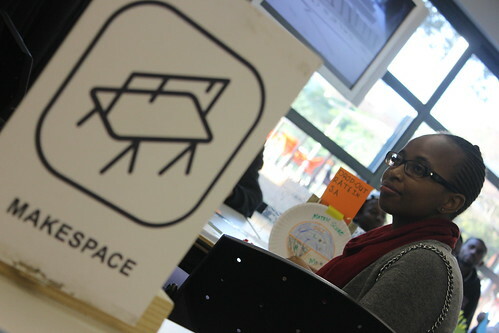 The Geekulcha Maker Library Network was invited to host a Maker Afternoon for the students in efforts to spark more momentum and creativity in visualizing data. Everyone stepped away from their computers and get hands-on to build artistic crafts that will help the public have more understanding of data. The Maker Librarians brought tools/resources and challenged the students to build physical objects that communicate stories through data onto the general public. Death of a Millionaire - from the day you are born, life is systematic, this group depicted how a Millionaire can be made or deterred from the path. Tshwane Unrest - exploring and visualizing all the possible aspects that may have led to the recent Tshwane protests: social media, ethnic groups and others. Blessers - as it is one of the societal issues, a group showcased how era of the Blessers have evolving throughout the years. Education system of South Africa - given the high drop-out rate in the country, this team showcased all the factors that contribute to the drop out rate. Gangsterism in South Africa - showcased reality of Gangsterism in the country with various factors. The group also made a wheel of life with different options we go through in life as far as gangsterism is concerned. We certainly had fun at the Maker Afternoon, creativity was seen in action. Everyone should return to the crafts and help each other learn.